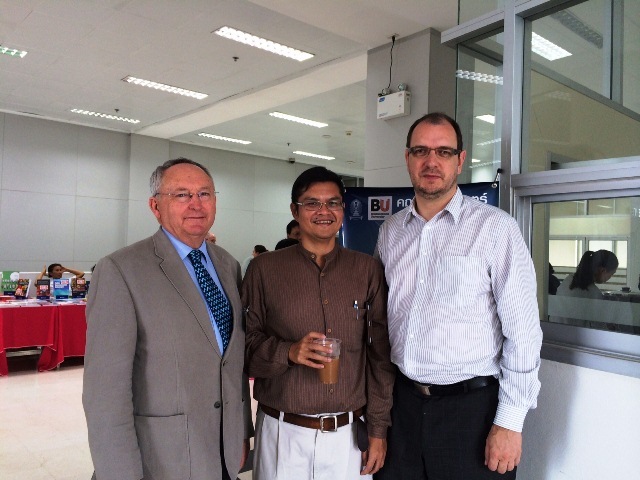 The FIF-supported conference went so well that planning is already under way for the 2014 conference, also to be held at Chulalongkorn University in the Thai capital. 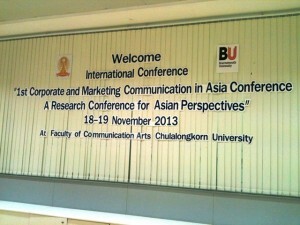 Representing BU at the conference were Prof Tom Watson, a co-organiser, and Dr Ana Adi, both of the Media School. Tom was a second day keynote speaker while Ana presented the outcome of research by her and Nathaniel Hobby on social media monitoring in higher education. The conference, held at the Faculty of Communication Arts, was opened by the host’s Vice-President, Assoc Prof Dr Sittichai Tudsri. Including the Thai and UK organisers, 30 papers were presented by academics from Australia, Egypt, Germany, Hong Kong, India, Indonesia, Malaysia, and Singapore. Already, a Media School team researching CSR has linked with colleagues at Chulalongkorn University and a further connection with an Indonesian researcher may follow soon. 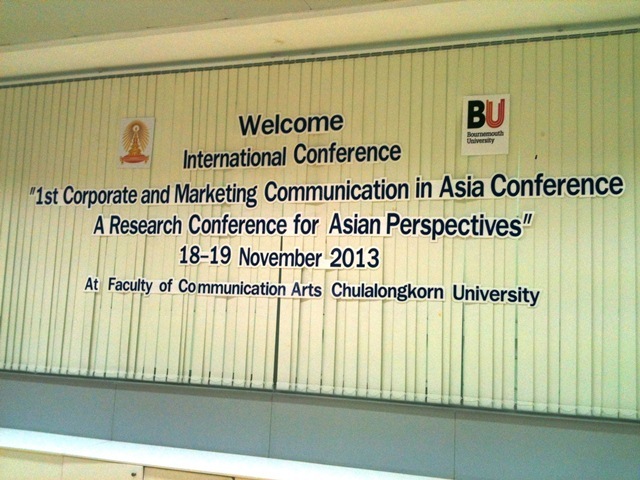 The BU-Chula link was confirmed at the conference.